Come try out your new work on us! All poets welcome. The RHINO Poetry Forum Workshop & Peer Exchange is more than a hammer-and-nail workshop. In existence since the 1970s, its goal has always been to present diverse views on poetry and poetics, as well as to exchange poems for critiquing, in which everyone, including RHINO Poetry editors and past leaders, participate as peers. All poets are invited. 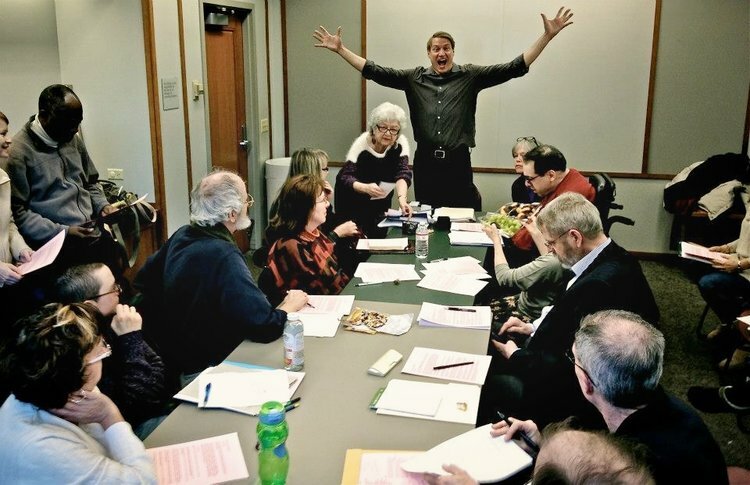 The Forum, with rare exceptions, meets on FOURTH SUNDAYS, at the Evanston Library. During the first half hour the guest leader presents on a topic of her or his choice; the rest of the time is divided among participants who bring poems for feedback. Discussion is welcome. Leaders are paid an honorarium, and -- in keeping with our goal -- come from everywhere, both geographically and in their approach to poetry. Attendance is free, although a $5-$10 donation is appreciated. Bring at least 17 copies of a poem you want critiqued.